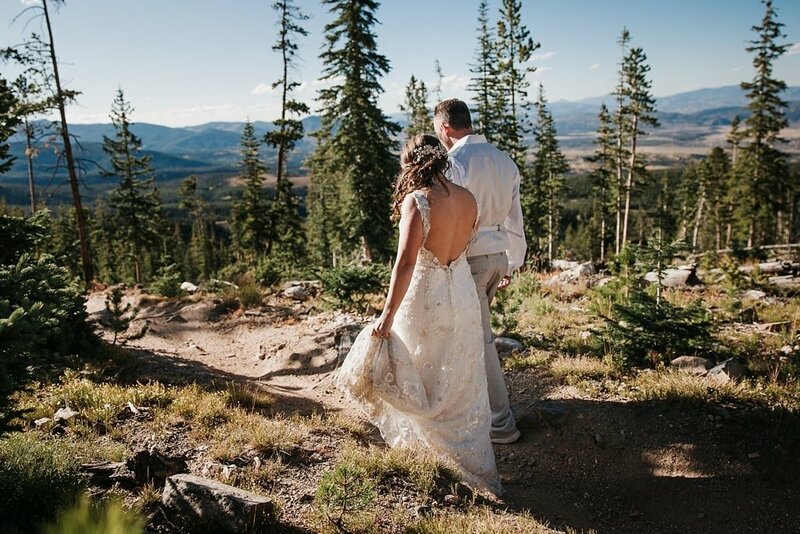 If you want to get married in an outdoor ceremony with epic mountain views at 11,220ft, a Lunch Rock Winter Park Resort wedding is the perfect fit. 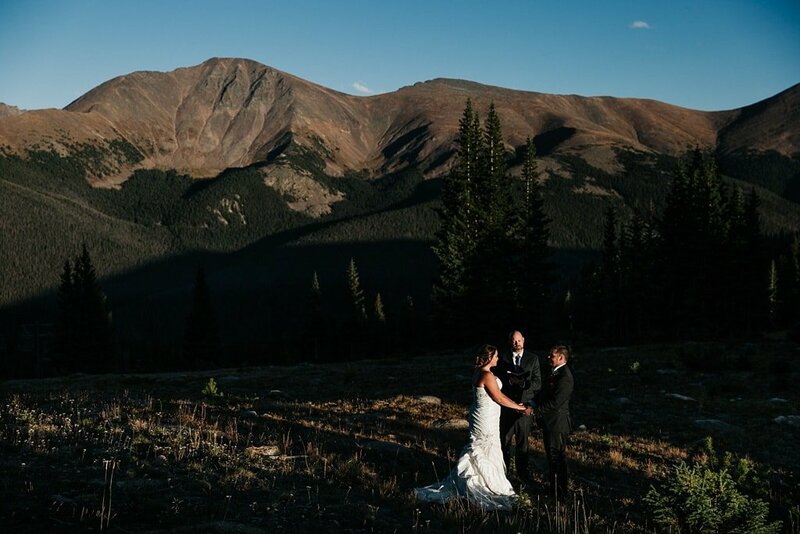 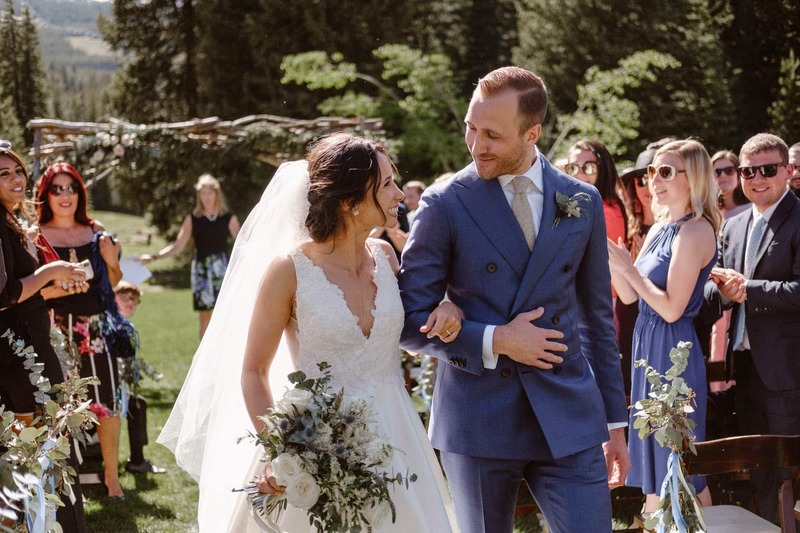 Lunch Rock is a brand new industrial modern wedding venue, with incredible views of Parry’s Peak, James Peak, and the Parsenn Bowl from the ceremony site. 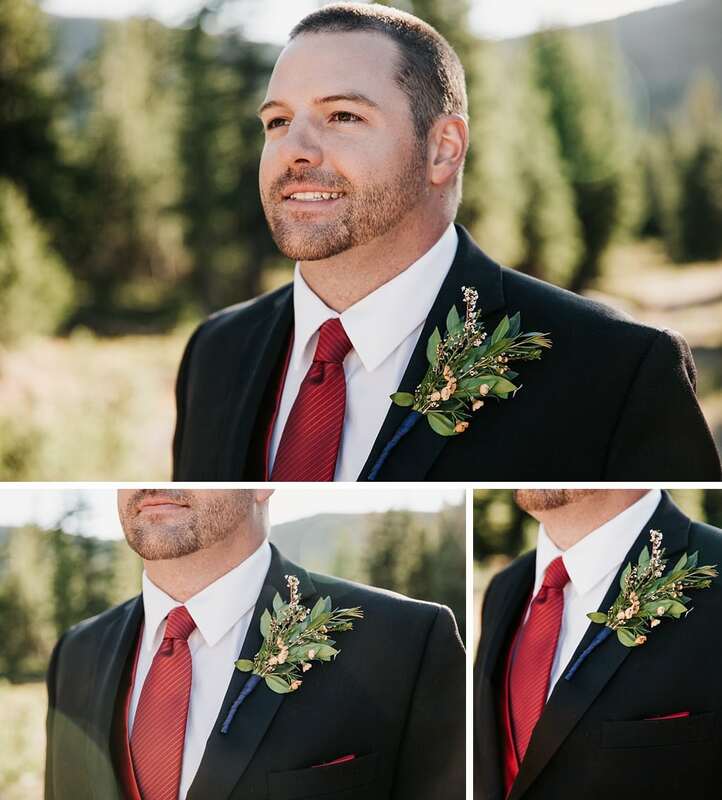 The venue is located a scenic ski ride on the Zephyr Express Lift away at the top of Mary Jane Mountain. 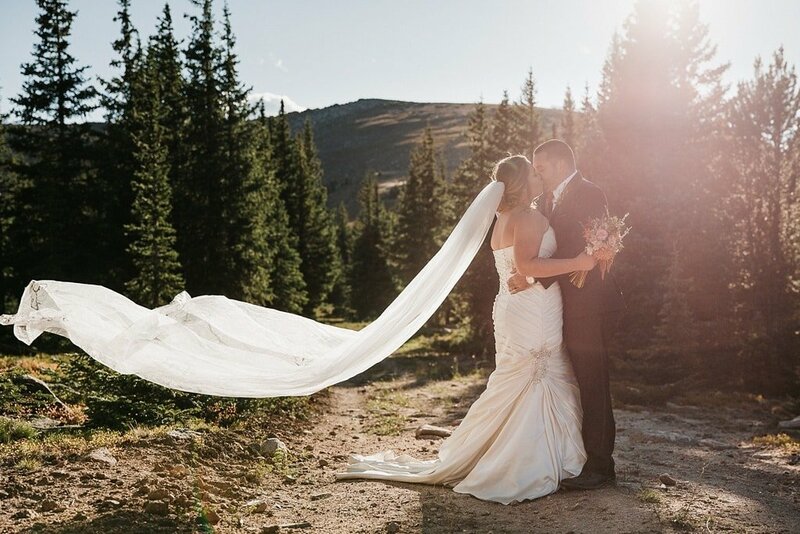 A Lunch Rock Winter Park Resort wedding is a unique experience for your guests as they get to take in those amazing Colorado mountain views from the ski lift. 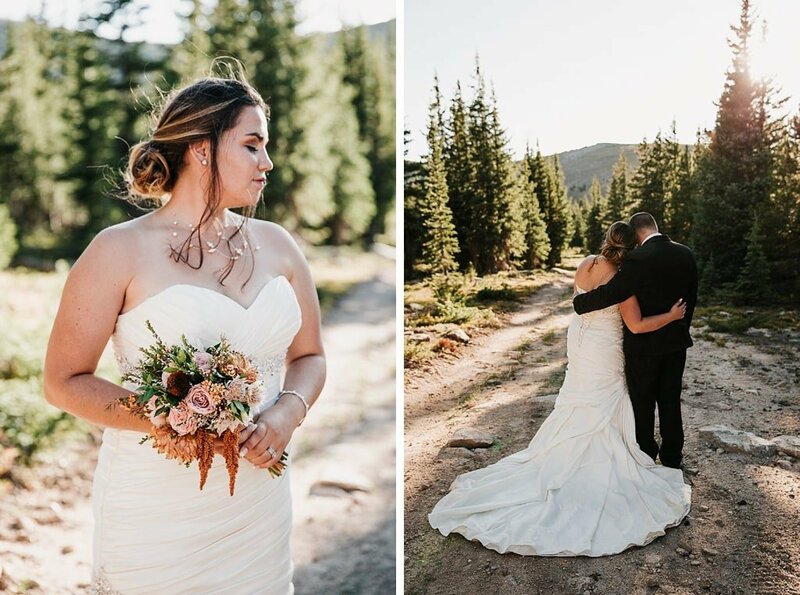 The venue is surrounded by trees on one side, and mountain views on the other. 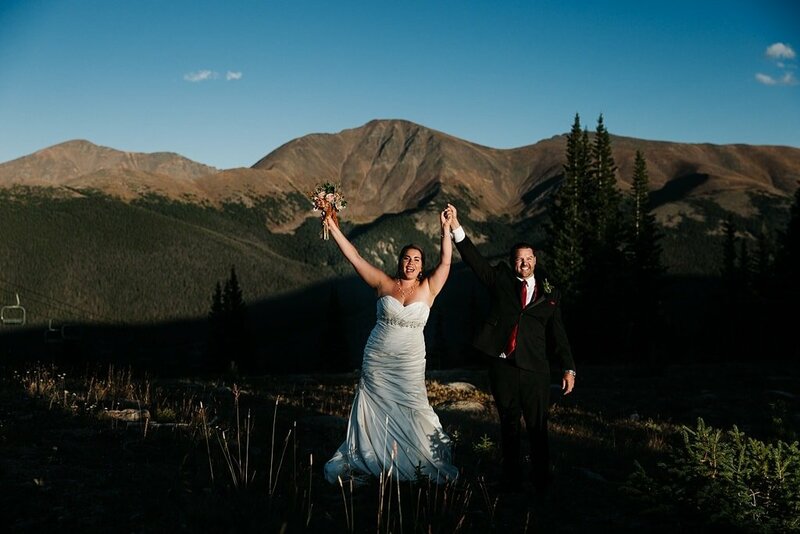 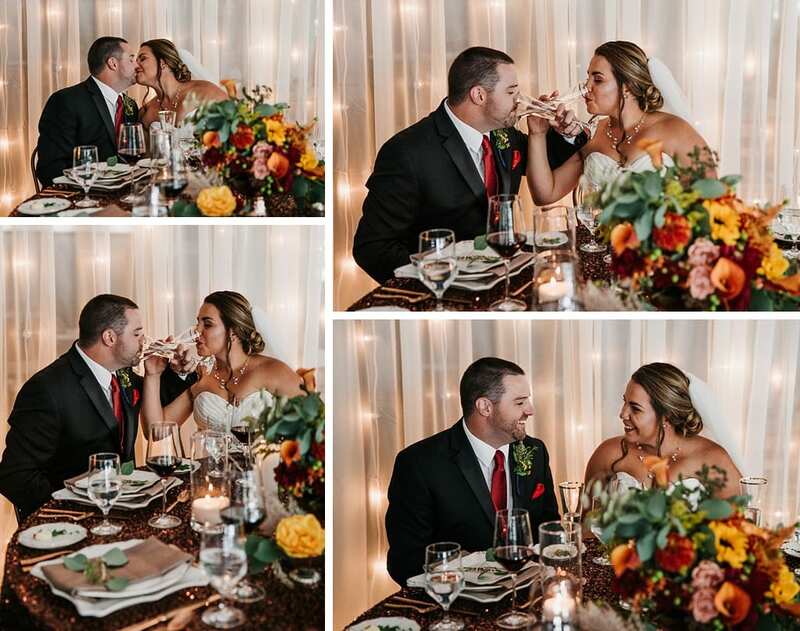 You can end your Lunch Rock Winter Park Resort wedding with a colorful sunset looking west, or dance the summer night away on the outdoor wedding deck as the mountains in the east are colored red by the sunset. 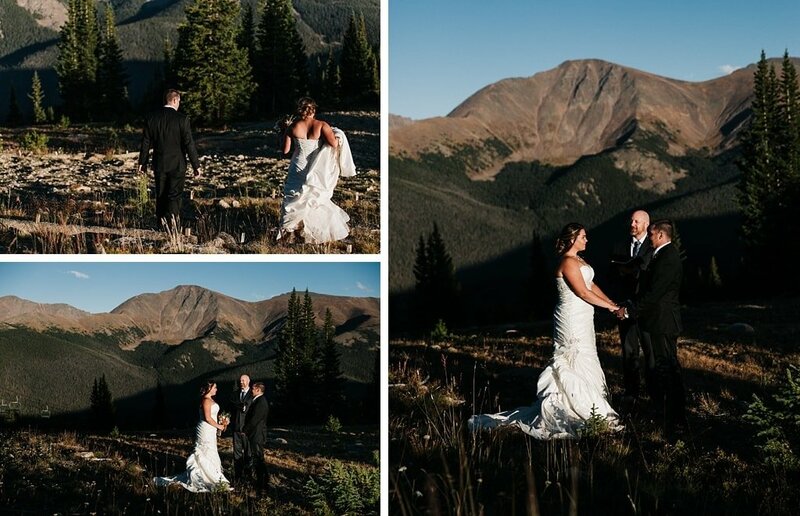 Adam and Andrea did a first look by the wedding center in Winter Park Village, so they could ride the ski lift up to Lunch Rock together. 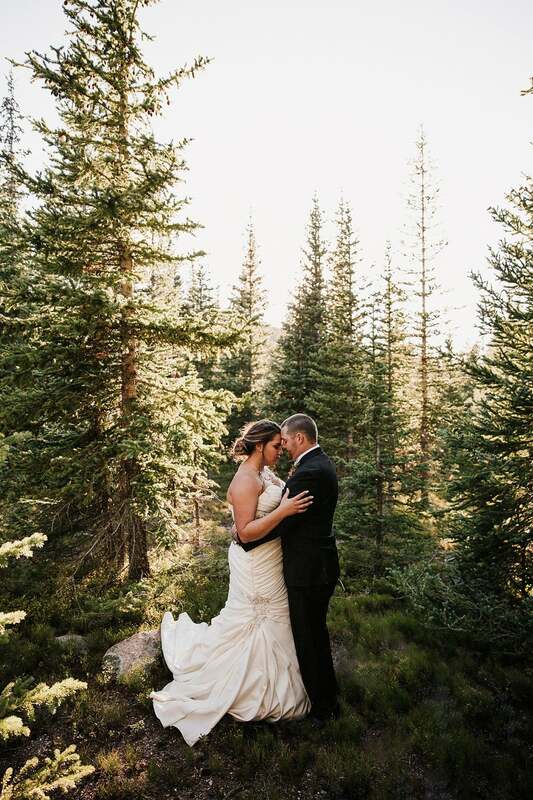 Once we got to the venue, we snuck away into the trees for their bride and groom portraits. 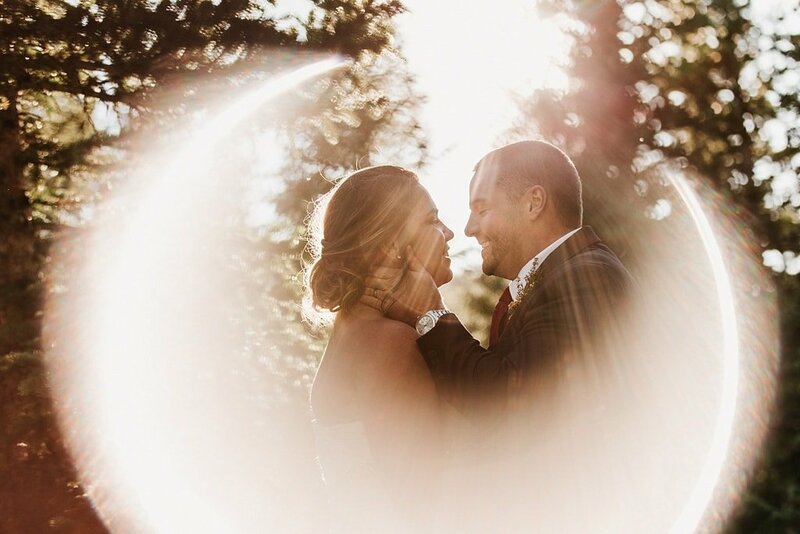 For their intimate elopement ceremony, we chose to walk down the hill from the wedding deck to maximize those incredible Colorado mountain views. 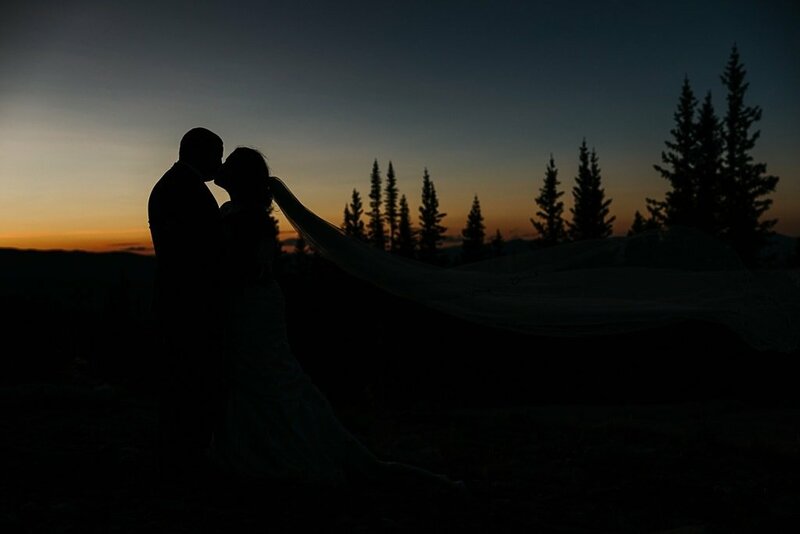 The late afternoon shadows let me create some dramatic photographs while Adam and Andrea renewed their vows. 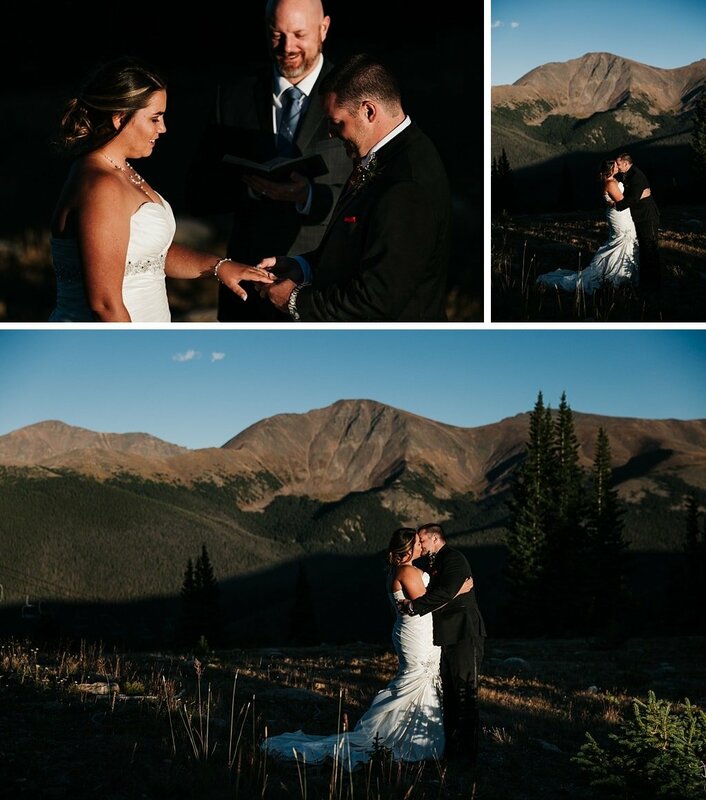 Finally the stoke was high when officiant Scot pronounced them husband and wife (again)! 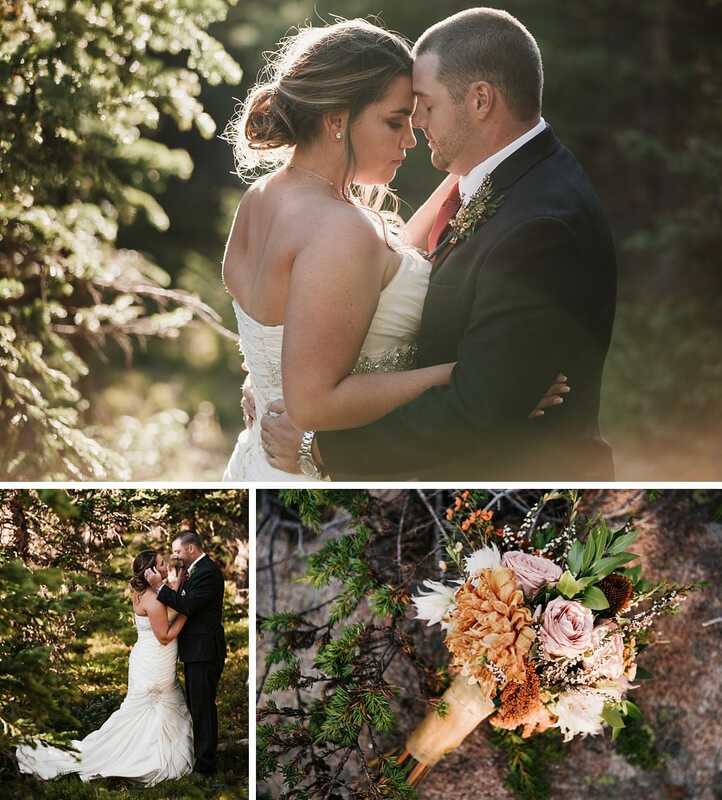 This Lunch Rock Winter Park Resort wedding came to end as the sun set over the mountains behind the reception venue. 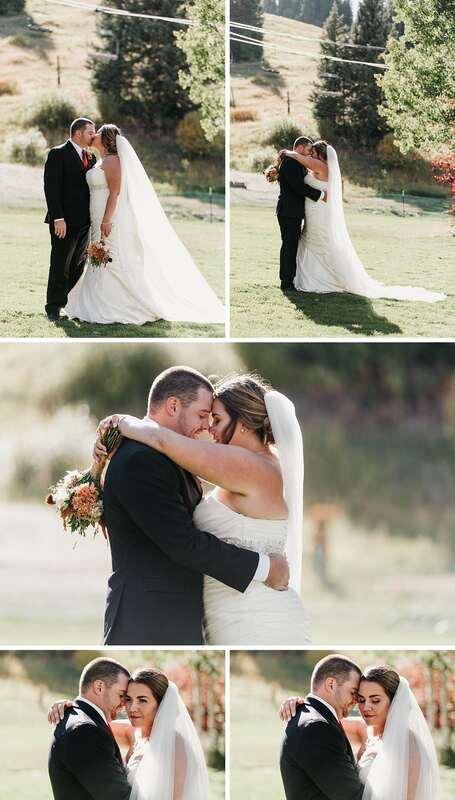 And I could not be more excited about all the stunning photos we got that day! 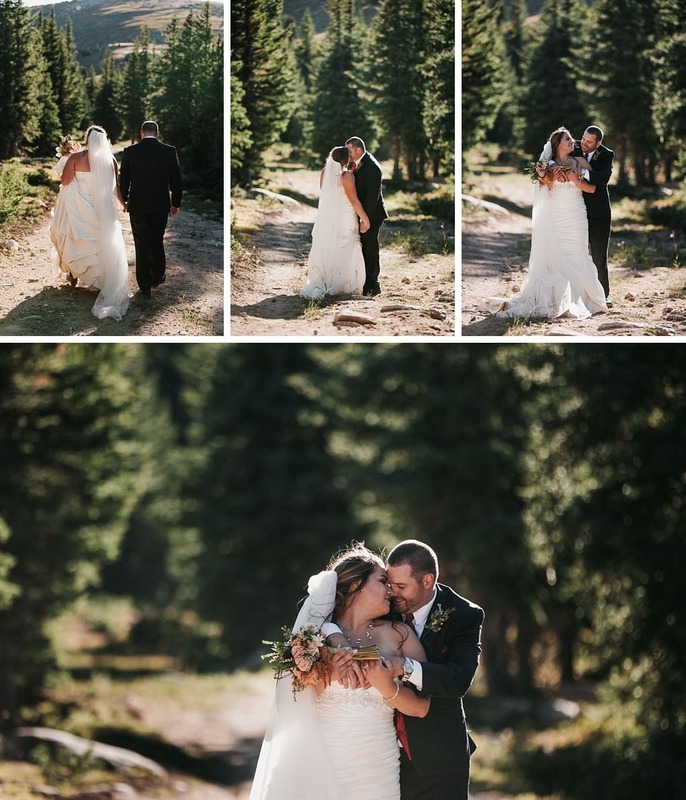 If you are looking to have a Lunch Rock at Winter Park Resort wedding of your own, get in touch and I’d love to talk to you about your wedding photography!